2000 Château Musar Rouge - "A blend of the estate's usual three grape varieties, albeit with more focus on Cinsault than usual. It still packs a punch for what was one of the lighter Musar vintages." - Jonathan Ray, The Spectator Magazine [more info]. 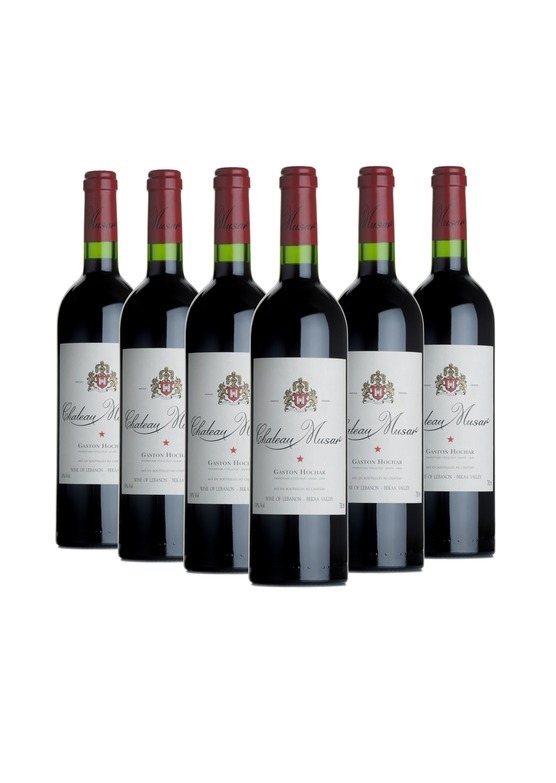 2005 Château Musar Rouge - "Comes from a cracking vintage and, sadly, there ain't much left and the price is steeper than I would have liked. But if Musar is your thing, you simply must grab it. "- Jonathan Ray, The Spectator Magazine [more info]. 2012 Château Musar Rouge - "An equal blend of Cinsault, Carignan and Cabernet Sauvignon, from a bakingly hot vintage, it has all the Musar hallmarks." - Jonathan Ray, The Spectator Magazine [more info]. Please note, this wine will be dispatched from w/c 1st April.